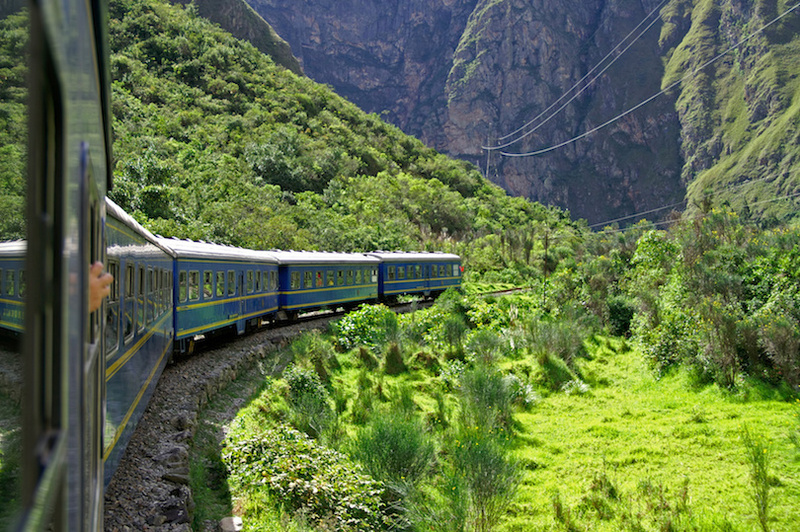 This day trip is totally awesome as you travel by train through the Andes Mountains from Cusco to Machu Picchu, one of the world’s greatest man-made wonders. Your day trip begins with pick-up at your hotel in Cusco and transfer to the train station. You can choose your seats for the ride: Expedition, with indigenous fabric décor; Vistadome, with panoramic windows for excellent views, or Executive, with its high-end luxury facilities. 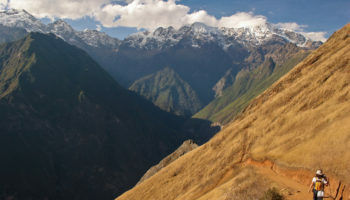 Then you’re off for the 80-km (50-mile) ride to Aguas Calientes, a small village near Machu Picchu. There you’ll board a bus for the final leg of your journey back into time. 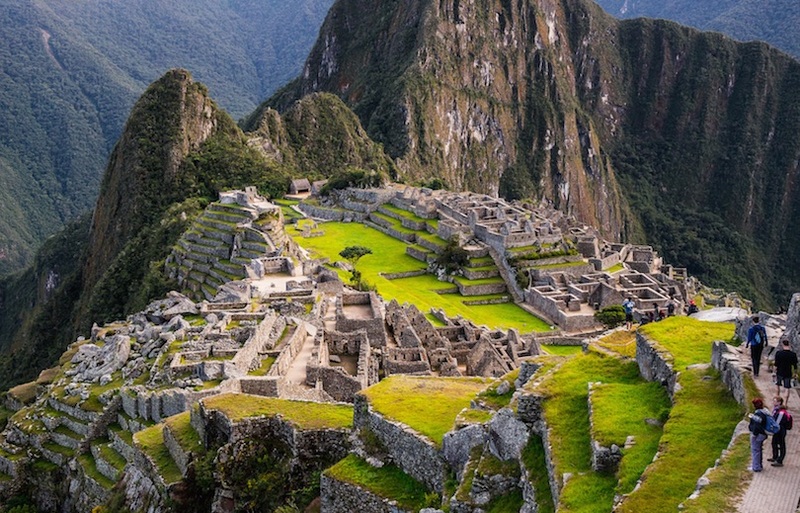 Machu Picchu is the symbol of Inca civilization. 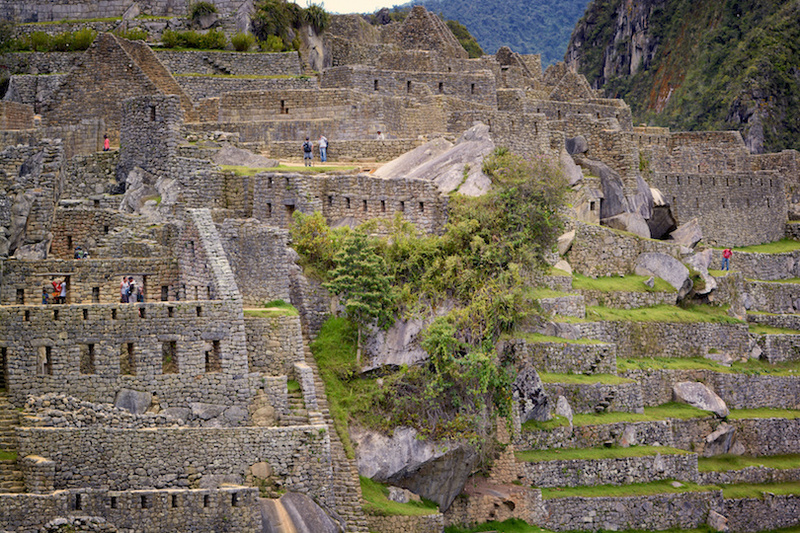 Built for an emperor, Machu Picchu functioned as a fortress, a religious site and home to many Incas. It was built in the 15th century but abandoned a century later when the Spanish conquered the Incas. The conquistadors never found this ancient city and it remained relatively unknown until the early 20th century when it was rediscovered by an American historian. Today, you’ll have an opportunity to discover this stone citadel and learn more about its history. Your guide will explain how the city was constructed using traditional Inca building techniques. Many buildings have been restored over the last century, but there are still plenty of ruins to see. You’ll also learn about how the Incas lived and see the temples where they worshipped and made human sacrifices to appease their gods. 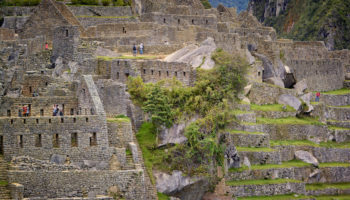 The tour of Machu Picchu is slow-paced and suitable for both young and old. Comfortable walking shoes are a must; be sure to drink plenty of water, too, as dehydration can occur quickly at high altitudes. After the guided portion of the tour is over, you’ll have time to explore the ruins on your own. 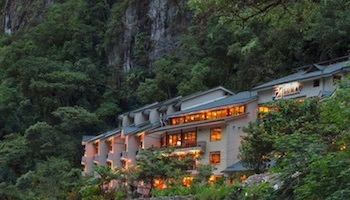 The views are spectacular, so be sure to have plenty of film or memory cards with you. 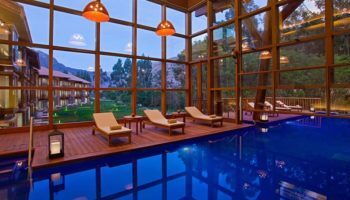 If your journey to Peru involves a quest to learn more about the ancient Inca Empire, then this day trip from Cusco to the Sacred Valley is for you. 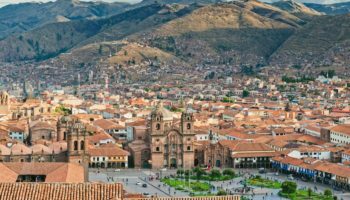 The day-long tour starts and ends at Cusco, a city high in the Andes Mountains that was once the capital of the Inca Empire. 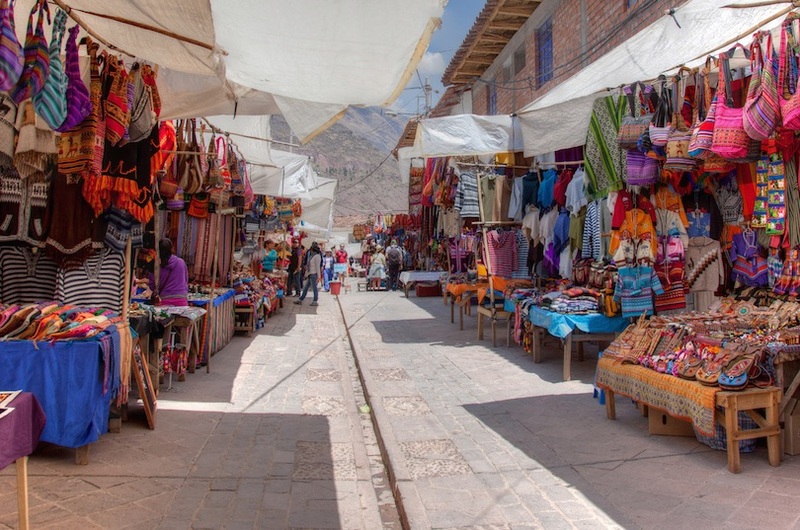 Our first stop on the way to the Sacred Valley will be Pisac, an Andean village famous for its picturesque market. This is a good place to shop for Peruvian handcrafts, such as colorful handmade blankets, and souvenirs, including dried corn in rainbow colors. If you’re touring on a Sunday, you’ll have the opportunity to attend mass, which is conducted in both Quechua and Spanish. It’s an opportunity, too, to see and hear music played on a pututu or shell horn. Following our stop at picturesque Pisac, we’ll continue deeper into the Sacred Valley as we journey to Ollantaytambo, a fortress, and then onto the Temple of the Sun. 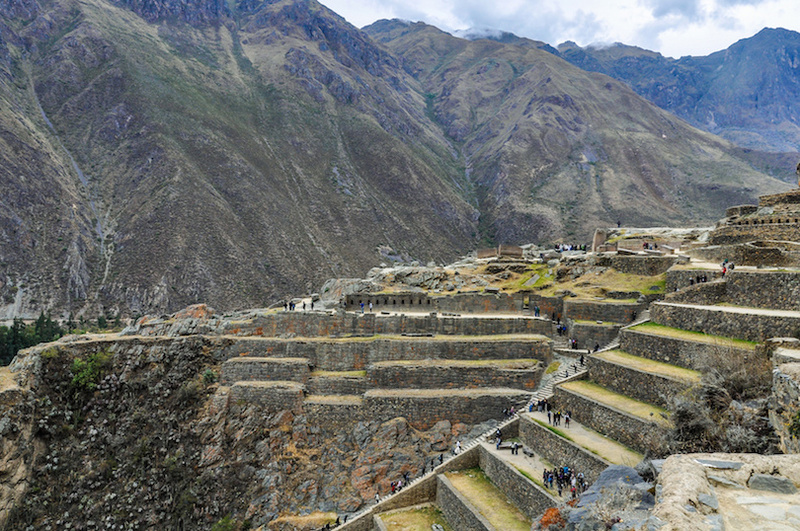 Ollantaytambo was a village that was conquered by an Inca emperor who turned it into a temple that served as a fortress during times of strife, terraced the land leading up Temple Hill and installed an irrigation system. 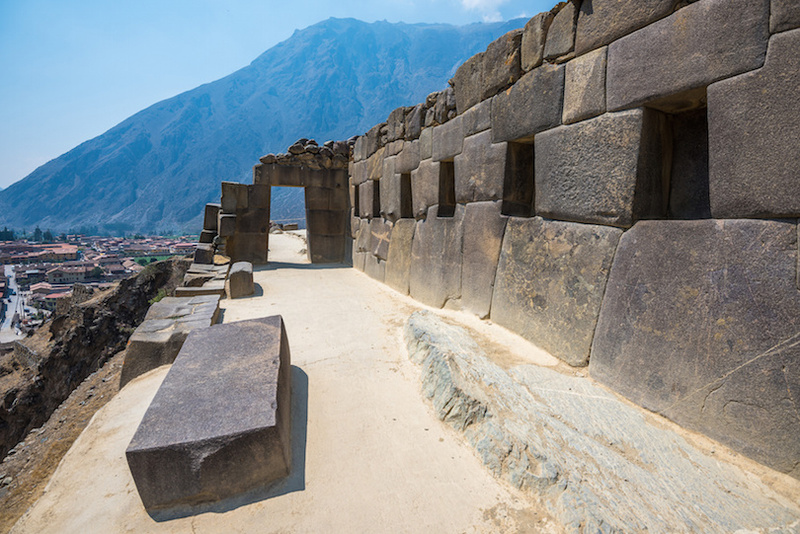 This complex, made of huge stones, was the administrative center of the Inca Empire. Besides the emperor, other Incan nobility lived at Ollantaytambo. The Temple of the Sun is the crowning glory of Temple Hill. The temple functioned as a calendar, marking the summer and winter solstices. Alas, the temple was abandoned before construction was finished, so we’ll never know how great it might have been. After a guided tour of the ruins and then exploring them on your own, the bus will return you to your Cusco hotel. The day is busy and long; it includes lunch and entrance fees. 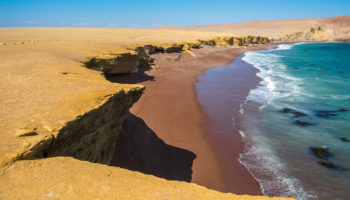 You’ll travel by bus, ferry and plane to two of Peru’s more fascinating sights – the Ballestas Islands and Nazca Lines – on this tour. It will be a long action-packed day but well worth every minute. You’ll be picked up at your Lima hotel at 4 a.m., returning 16-1/2 hours later with memories to last a lifetime. The day begins with a bus ride down the Peruvian coast to Paracas, a town known for its beautiful beaches. 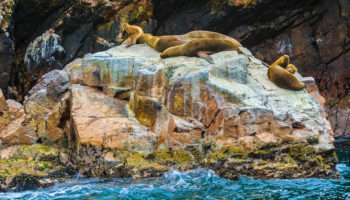 Then you’ll board a ferry to the offshore Ballestas Islands, a marine reserve known as “the poor man’s Galapagos” because of the variety of wildlife. 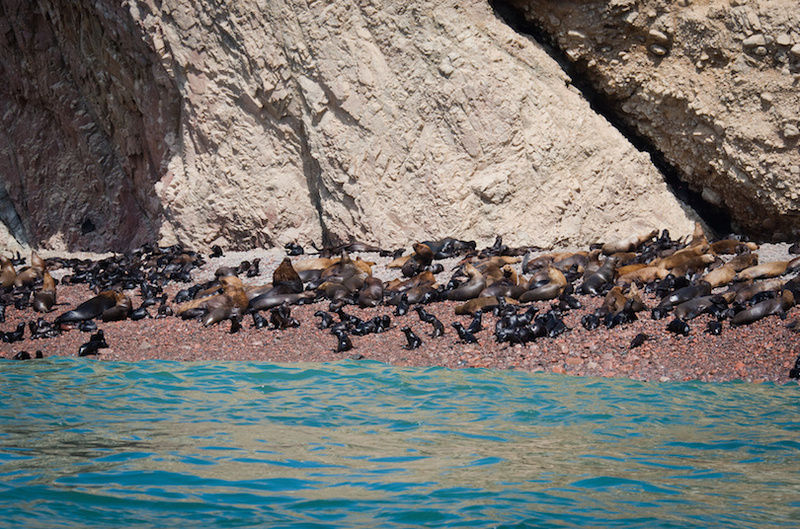 You’re likely to see penguins, sea lions and a wide variety of sea birds, including cormorants, Chilean flamingos and Peruvian pelicans. You’ll also see the Candelabra of the Andes, a 180-meter (600-foot) high prehistoric geoglyph carved two feet deep into a mountain on the Paracas Peninsula. Dating back to around 200 BC, it was thought to be a guide for ancient mariners, much like lighthouses today. FYI: the ocean can be choppy so if you’re prone to seasickness, you might want to bring something along. 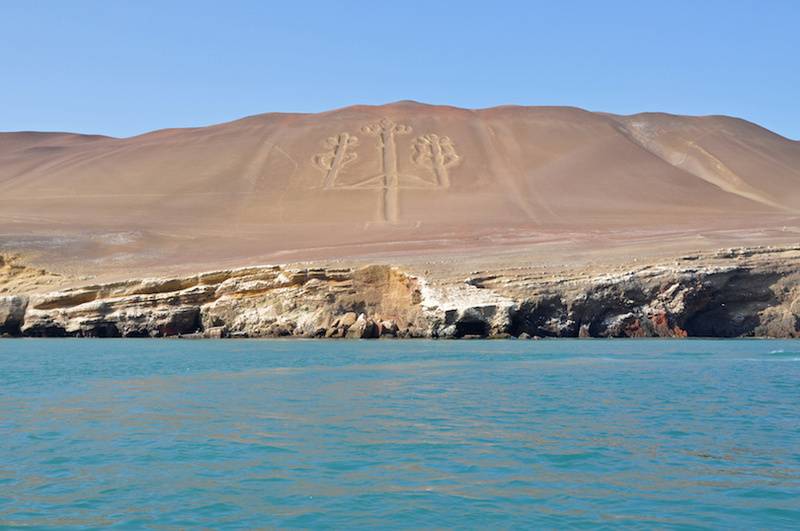 Upon your return to Paracas, you’ll see more ancient art as you take off for the Nazca Lines. Everyone has window seats on this flight so you’ll be able to see these ancient geoglyphs that stretch over 80 km (50 miles). 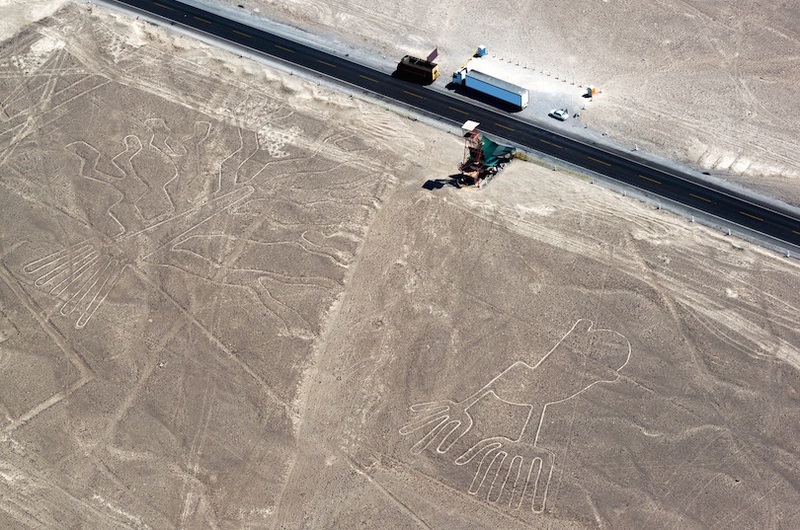 The Nazca Lines were carved into the ground more than 1,500 years ago. They showcase a variety of animals, from jaguars, fish, birds and monkeys, and even humans. Some figures are up to 360 meters (1,200 feet) long. Each figure has a special significance in the Nazca culture. For example, the spider represents winter and fertility. After your flight, you’ll enjoy lunch before heading back to Lima. 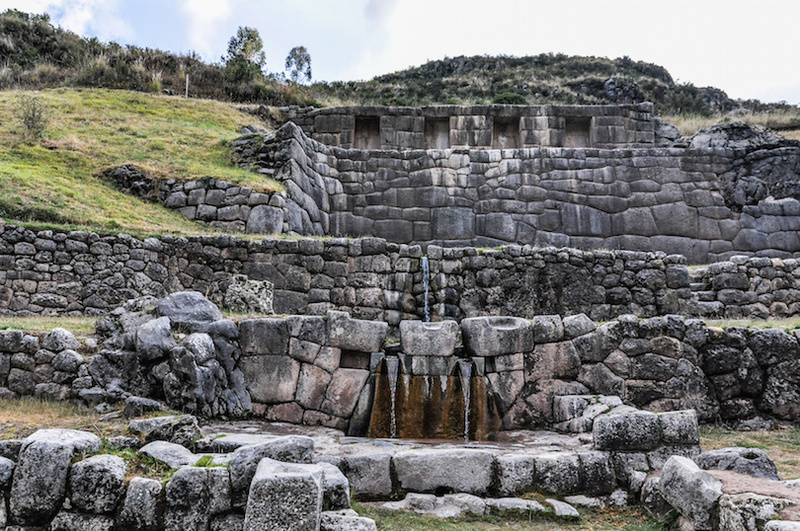 This tour slows you to let your inner archaeologist out as you travel to the ancient ruins of Sacsayhuaman (also spelled Saksaywaman) for a half-day of exploring. 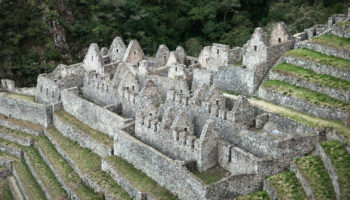 After the pickup in your hotel in Cusco, this guided tour will bring you to the archaeological park and several Inca ruins around Cusco in an air-conditioned minivan. Your first stop will be Tambomachay, a natural spring that was worshipped by the Incas. 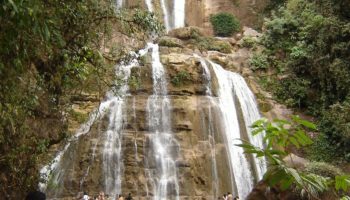 The ruins consist of terraced aqueducts, canals and waterfalls. 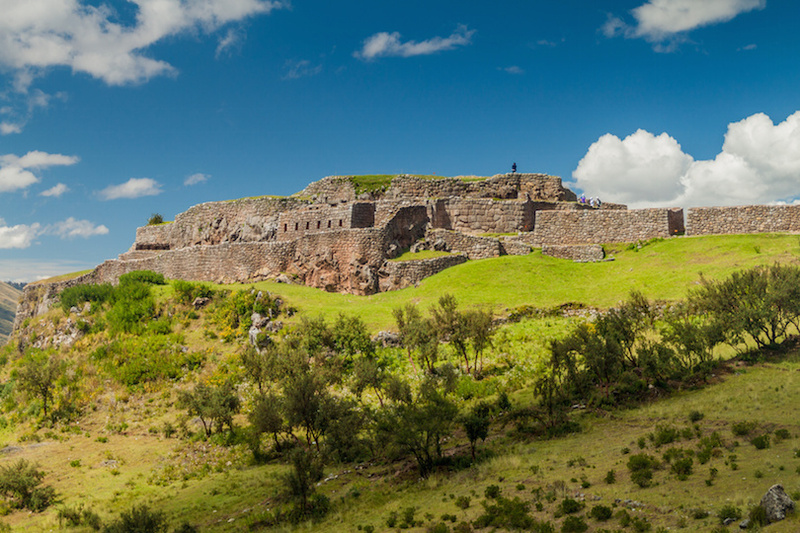 It may have served as a resting place for the Incas, though its main purpose was to defend the Valley of Cusco. Next up is Qango, a large maze-type ruin with a sacrificial alter at the center. Here, you’ll see spiraling staircases and secret passageways. 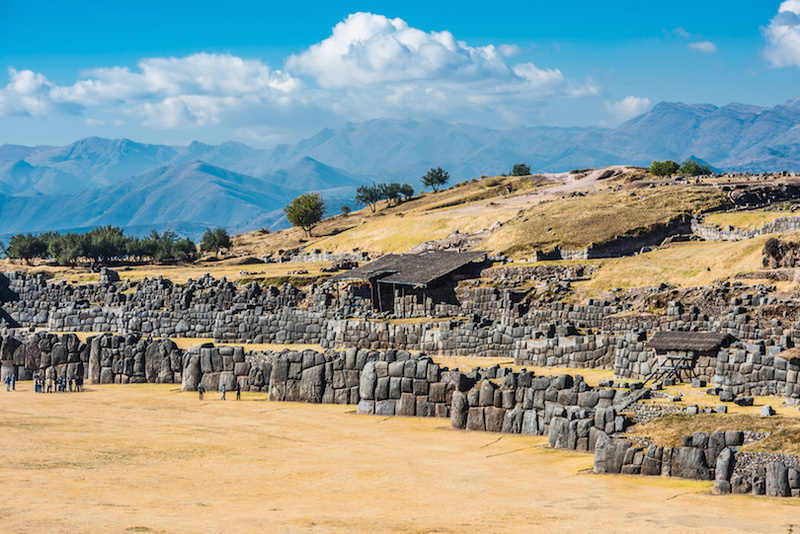 Sacsayhuaman Archaeological Park is the highlight of the tour. Here, the Incas leveled a mountain top and then built three huge walls. These walls served as the canvas for their drawings of snakes, condors and pumas on the large stones, some that are as high 10 meter (35 feet). The animals represent the three worlds of the ancient Incas. A large round structure may have been a solar calendar. The site, which offers grand views of Cusco, also consists of a 500,000-gallon water reservoir. The final stop is the Tower of Puka Pukara, an Inca fortress with huge walls, staircases and terraces. The rocks appear red at dusk, which may be the source of the fort’s name. This fort was used to defend Cusco and the Inca Empire from invaders. It is a good example of military architecture, and also may have been used as a checkpoint to weed out undesirable travelers. The tour ends at your hotel in Cusco. 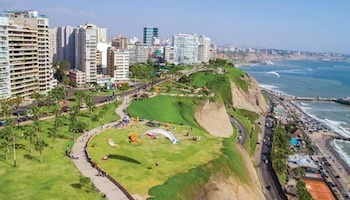 As the capital of Peru and the country’s largest city, Lima has a lot to offer travelers. While you could spend days exploring the city in full, a half-day sightseeing tour of Lima can introduce you to the highlights of the capital. 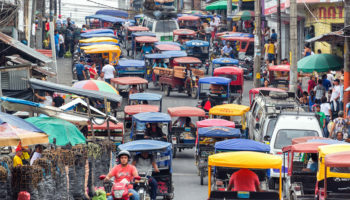 An expert guide can show you a side to the City of Kings, as Lima is called, with a local perspective. Choose whether to take this tour during the morning or the afternoon, taking into consideration either jet lag or personal preference. Either way, the tour commences with a pickup from your city hotel. Then, it’s onward to the historic city center, where Peru was once ruled under the colonial viceroyalty. 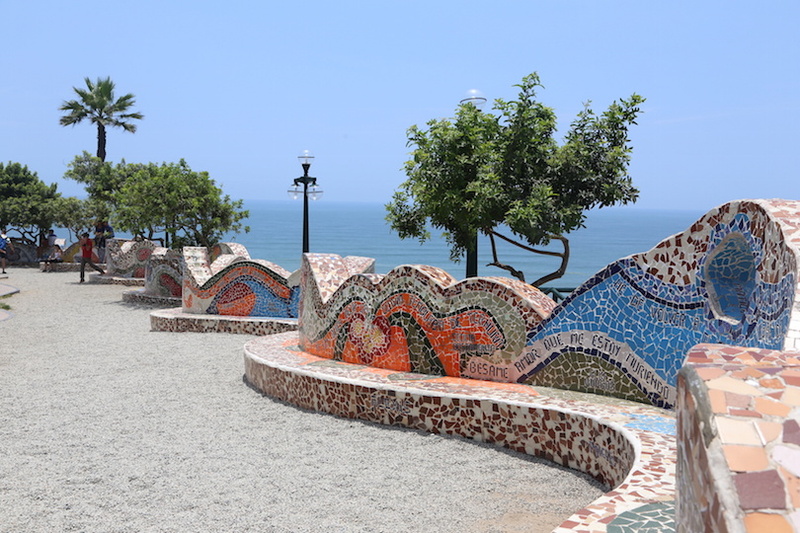 Then, explore the stunning Love Park, a verdant park next to the coast that was greatly influenced by the architect Gaudi and boasts an iconic sculpture from Peruvian artist Victor Delfín. Step back in time as you head through San Isidro, a residential part of Lima that is home to the Huaca Pucllana. This ceremonial site dates to before the Spanish arrival to Peru in the 16th century, and it is an incredible clay and adobe pyramid in the district of Miraflores. 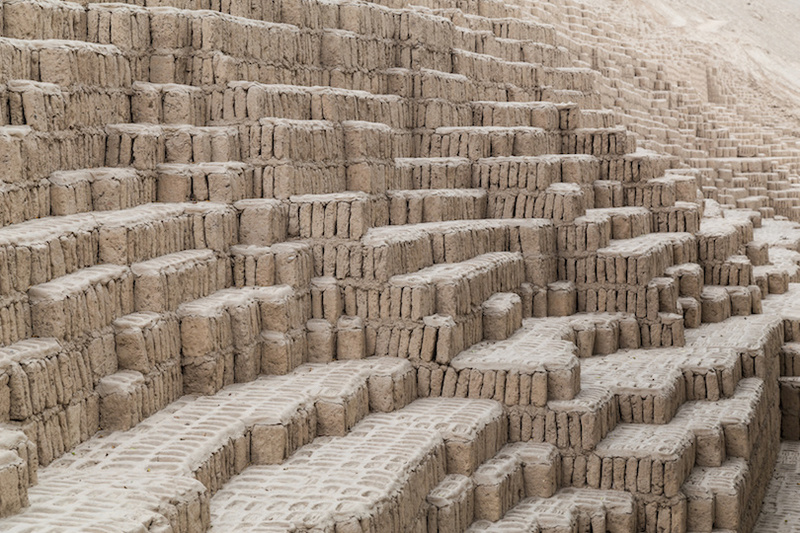 By some estimates, Huaca Pucllana may be as many as 1,800 years old. 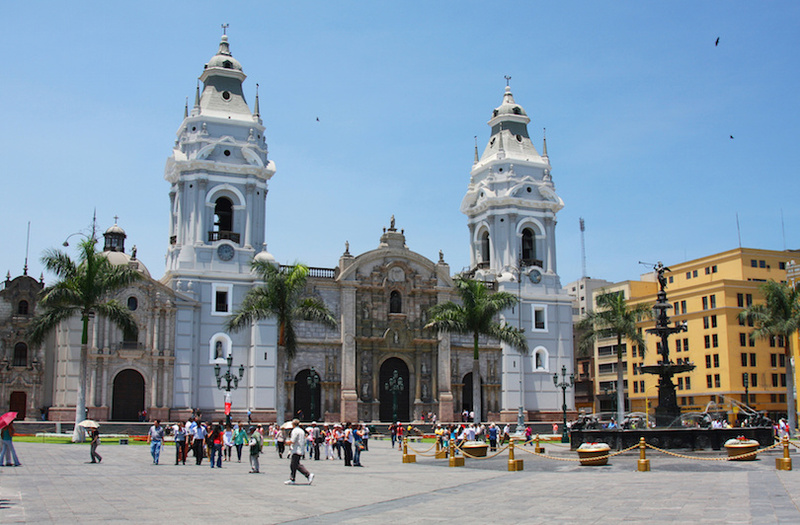 As you approach the main square in Lima, you’ll see the two major palaces ahead. The Municipal Palace and the Presidential Palace are two of the most important political buildings in the entire country. Nearby, in the Plaza de Armas, you’ll have the chance to see the tomb of the Spanish conquistador Francisco Pizarro as well as the 16th century Lima Cathedral. You can also view the Santo Domingo Convent, an enormous monastery complex in the city where monks live in traditional settings among the bustling urban environment. The final few stops of the day include the Church of Santo Domingo and the Museum of Religious Art. Afterwards, you’ll be dropped off back at your hotel in the heart of Lima. 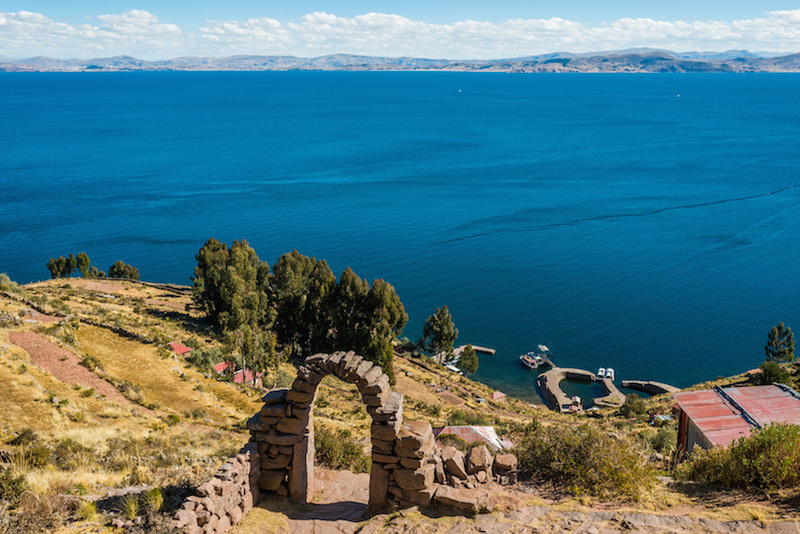 This amazing tour carries you over the waters of Lake Titicaca, the largest lake in South America and the highest navigable lake in the world. Lake Titicaca is shared by both Peru and Bolivia; this tour sticks to the Peruvian side. You’ll cruise the lake from Puno to the Uros and Taquile islands where you’ll see some pretty unique houses. 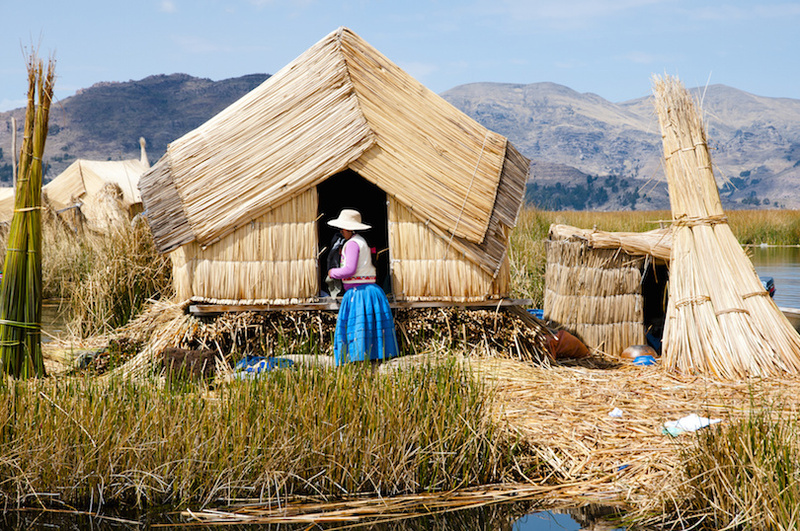 The Uros, one of Lake Titicaca’s top tourist attractions, are made up of 42 man-made islands. Floating on the lake waters, these houses are made of buoyant totora reeds that grow along the shores. Centuries ago, they were designed as a defense mechanism: they could be moved in case of attack. Your guide will explain how these unique houses are made and about the problems with the foundations caused by rotting reeds. You’ll have an opportunity to see inside the houses and interact with the indigenous dwellers of them. It’s a great opportunity to learn more about their customs and traditions. 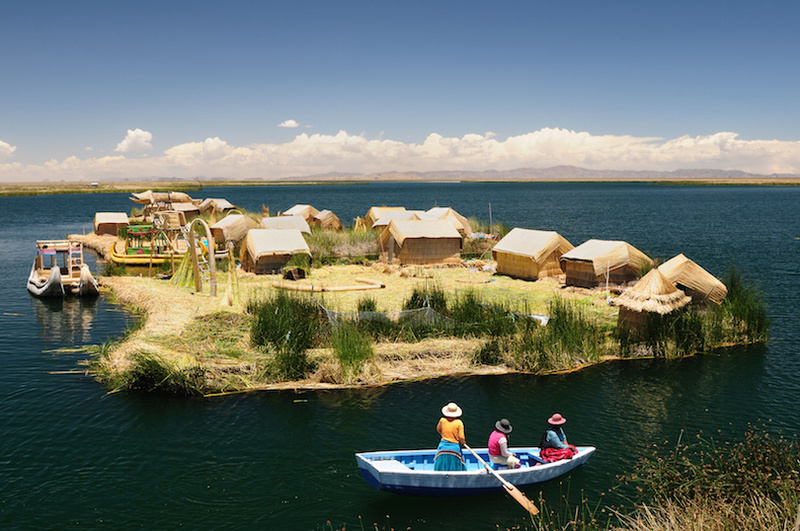 After visiting Uros, it’s on to Taquile Island, which the modern world has appeared to pass by. Well, not really. Islanders use solar panels to generate electricity. Still, it’s a place where people still wear traditional clothes. It’s a place where the women spin the wool into yarn and dye it, with the men doing the knitting. The island is famous for its textiles and handicrafts made using ancient methods. While on the island you’ll enjoy a lunch featuring traditional foods of the region. This full-day tour begins and ends in Puno, a city in southeastern Peru that sits on the edge of Lake Titicaca. The region is famous for raising llamas and alpacas.